Love Yoga? Love films? I’ve got a treat for you!! 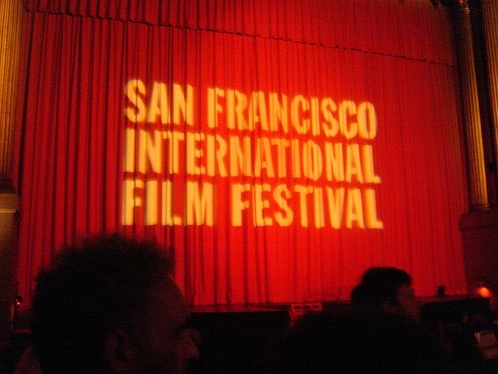 I LOVE the San Francisco International Film Festival! The first time I went, I had a corporate job that I loved with a manager who let me come and go as I pleased…as long as the work got done. For two weeks, I took off in the middle of the day, watched a movie, came back and finished up. All of my tickets were taped on the right side of my monitor. The stubs were attached to the left. I’m more active with the SF Film Society now. So, I worked with them to extend a special offer to yogis!!! Volunteer at the SFIFF53, April 22- May 6, and get free yoga! Just sign up here and put my name under how you were referred. That’s good for ANY class I teach! And, when you volunteer, you get vouchers to use to see the films! Free yoga! Free films! In exchange for just a little time…and trust me, it’s a lot of fun too! This entry was posted in Uncategorized and tagged free, SFIFF53, volunteer, yoga. Bookmark the permalink. ← Do what with my what?